Another addition to my color portrait series, warm and comforting brown. 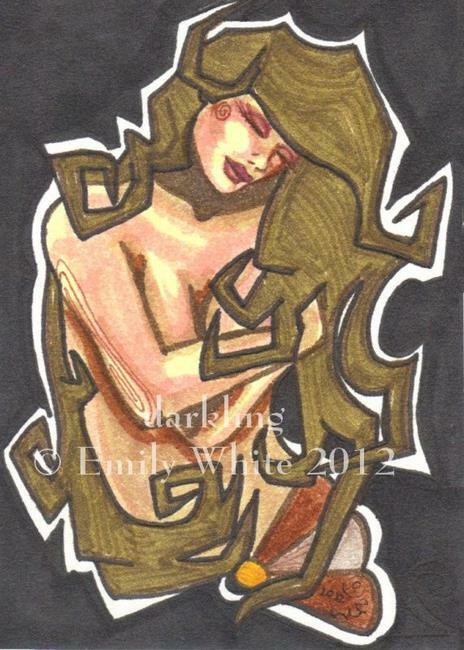 This is an original pin up ACEO (Art Cards, Editions, and Originals- 2.5" x 3.5"), illustrated in archival inks on bristol. She is initialed on the front; full signature, title, and date are on the back. Watermark does not appear on the actual art.